Radlett CC is one a growing number of Cricket Clubs that take the welfare of children at their club incredibly seriously. By taking the time to work towards and achieving ClubMark Radlett CC has shown its commitment to its junior players and to its wider local community. 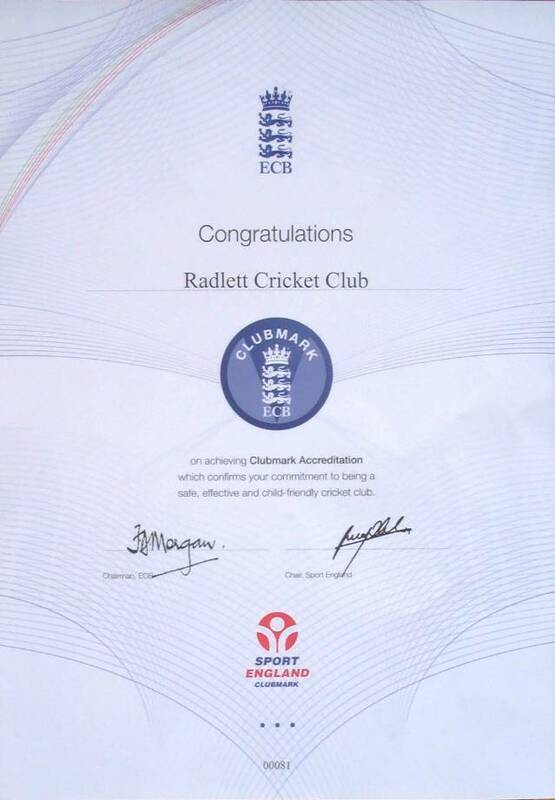 The ClubMark logo is recognised by both ECB and Sport England and it tells teachers, parents, community leaders, Local Authorities, funding agencies and all those with a responsibility for the welfare of young children that Radlett CC is a safe place for children to enjoy playing cricket. More importantly it proves that Radlett CC is a club that you can send your child safe in the knowledge they will be well looked after and enjoy their cricket.